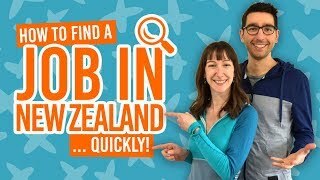 Time for a New Zealand road trip! So many different landscapes, so many reasons to for photograph stops, and so many highways to take! It’s hard to make a decision what would be the best road trip on the North Island of New Zealand. There’s tempting beaches enticing you along the way on the Twin Coastal Discovery Highway, Pacific Coast Highway and Surf Highway 45. See spectacular volcanoes and geothermal activity on the Thermal Explorer Highway and Volcanic Loop. And delve into the rugged wilderness on the Forgotten World Highway. What are the North Island State Highways? The Twin Coast Discovery Highway takes you along both coasts of the “Winterless North”. Sea, sun and sand await in Northland along the Twin Coast Discovery Highway. Drive from Auckland to Whangarei, stopping by a winery in Warkworth or take a detour to Leigh to go snorkelling at the Goat Island Marine Reserve. The highway loops to Orewa, avoiding the toll road and its fee! Once you reach Whangarei check out Whangerei Falls and rocky outcrops of Abbey Caves. Then carry on to the Bay of Islands, with beaches, boats and dolphins. Kerikeri is another township along the way, where you can walk behind Rainbow Falls, and taste wine and chocolate! The highway takes you to the northern tip of New Zealand, Cape Reinga. Where you can see the Tasman Sea and the Pacific Ocean meet. Also, get a photo of the lighthouse and catch a bus along the 90 Mile Beach. Down the west coast, the Twin Coast Discovery Highway takes you Waipoua Forest to see the gargantuan kauri trees. This stretch of coast is known as the Kauri Coast. Stop at the Kai Iwi lakes, near Dargaville, for sailing, waterskiing or swimming. Finally, back to Auckland to drive through the scenic Waitakere Ranges. Detour to Piha for some epic surf. 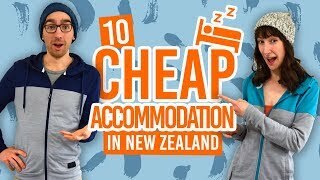 For more information on what to do in Northland, feast your eyes on this article: Northland – Guide for Backpackers. Aptly named for the geothermal areas the highway passes through, the Thermal Explorer Highway is one of the highways going south from Auckland. Starting in Auckland, a city dotted with around 50 volcanic cones, the Thermal Explorer Highway goes into the green countryside on the way to Hamilton. There are plenty of attractions to take a detour along the way, such as Hobbiton and the Waitomo Caves. Reaching Hamilton, you can walk around the pretty and free-entry Hamilton Gardens. From Hamilton, the highway takes you through more of New Zealand’s countryside with horse breeding in Cambridge and the quaint town of Tirau. Visit the Mount Maungatautari Sanctuary Mountain which is a protected area for native New Zealand birds. There’s also kayaking tours that can take you to see glowworms, as well as the Waikato River Trail which you can either walk or cycle. The closer you approach Rotorua, the more you will notice the land change into a volcanic landscape. You might smell the distinct aroma of sulphur before you see anything. You’ll then notice steam rising from the ground as you enter the city. Several geothermal parks allow you to see these natural wonders of bubbling mud pools and colourful volcanic pools. More about Rotorua can be seen in Rotorua – Guide for Backpackers. More geothermal wonders can be enjoyed on the highway to Taupo. Stop at Orakei Korako and Craters of the Moon to see geysers, bubbling mud and silica terraces. Stop off to get a quick photo of Huka Falls, for intense rapids! Lake Taupo itself is a huge volcanic crater. The lake is used for recreational activities like sailing and kayaking. Go to Spa Park to relax in the natural hot spring. More things to to in Taupo can be seen here: Lake Taupo – Guide for Backpackers. The final leg of the journey is between Taupo and Napier in Hawke’s Bay. Be sure to walk around the Art Deco city of Napier and visit the nearby gannet colony at Cape Kidnappers. More on Hawke’s Bay can be found here in yet another guide: Hawke’s Bay – Guide for Backpackers. And there you have it: the end of your Thermal Explorer Highway road trip. As an added bonus to the Thermal Explorer Highway, extend your touring route to the Volcanic Loop. The shorter of the scenic highways, the Volcanic Loop gives awesome views of three volcanoes, Mt Ruapehu, Mt Tongariro and Mt Ngauruhoe. The loop can be completed starting at Taupo. From Turangi, follow the State Highway 47 to National Park Village, which is the northern gateway to the Tongariro National Park. 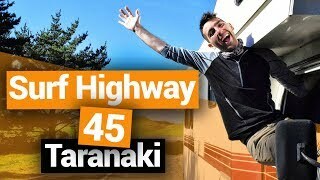 Head south on State Highway 49 to Ohakune, the ski town with the giant carrot structure, and onto Waiouru. You can then head back to Turangi to complete the loop! Need Tongariro inspiration? Check out: Tongariro National Park – Guide for Backpackers. Following the east coast of the North Island, the Pacific Coast Highway takes you to remote coastal areas not to be missed while travelling in New Zealand. The drive from Auckland to the Coromandel peninsula takes you past a series of tree-lined beaches. Stop in the towns of Coromandel and Whitianga. The former is steeped in art and culture, the latter is the best of seaside towns: surf, sand and seafood. Before leaving the Coromandel region, get a token tourist photo of Cathedral Cove with its rock arch and stacks and visit Hot Water Beach within 2 hours of low tide to dig yourself a natural thermal pool. Find out more from the peninsula here: Coromandel – Guide for Backpackers. Drive further down the Pacific Coast Highway to reach the Bay of Plenty region. Towns you will comes across are Whangamata, a surf town, Waihi, a gold-mining town with a massive hole in it, Katikati, the mural town, and Tauanga, the harbour city. The next leg of the journey is an easy drive to Whakatane. Visitors come here to get a boat out to the active marine volcano White Island. Read more about the Bay of Plenty here: Bay of Plenty – Guide for Backpackers. The East Cape is the next location on the itinerary, passing small seaside towns with fishing, swimming and surfing opportunities. Tologa Bay has the longest wharf in NZ at 660 metres long. At Gisborne, you have reached the most eastern city in the world, meaning it’s the first city to see the sunrise. Follow the highway to Te Urewera, home of the Waikaremoana Great Walk. What’s that? Another guide? See East Cape – Guide for Backpackers. We also have a full itinerary on this section of the Pacific Coast Highway right here. Finally, the Pacific Coast Highway and Thermal Explorer Highway meet up in Napier. See above for highlights in Napier. Pretty self explanatory, the Surf Highway 45 is a road trip to capture the best surf spots in the Taranaki region. Starting from New Plymouth, Fitzroy Beach and Back Beach have good swells and hollow waves. There’s also the opportunity to walk the Coastal Walkway to see kinetic artwork on display and walk across the bridge designed as a breaking wave, the Te Rewa Rewa bridge. Next on the itinerary is Oakura, a well-known surf town. Not only is the Oakura beach itself great for surfing and easy to access, but Ahu Ahu, Weld Road and Komene Beach are worth checking out too. The Kumera Patch is often talked about, but this require a walk over private farm land so permission is needed. Continue to Opunake where you can stop at Stent Road for right-hand waves. Nearby to Opunake are the surf beaches of Arawhata Road and Green Meadows. We also recommend doing the Opunake Walkway along the coast. Your final stop on Surf Highway 45 is Hawera. Along the way Manaia’s Kaupokanui Beach and then Ohawe Beach will give you your final surf waves on this road trip. We have a more in depth guide to the Taranaki region too, here: Taranaki – Guide for Backpackers. And for more stops to check out, see 15 Places to Stop at on Taranaki’s Surf Highway 45. 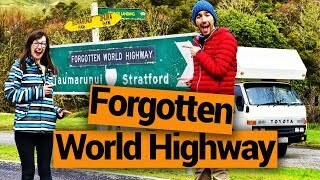 The mystical Forgotten World Highway starts in Taurmarunui, which is a good place to start canoe or kayaking adventures into the Whanganui National Park. Take a detour when leaving Taurmarunui by visiting the 85m waterfall, Mt Damper Falls, which spills over into pristine waters. Back on the Forgotton World Highway, pass through the 180-metre Moki Tunnel. Soon enough, you’ll hit Whangamomona, which actually is its own republic complete with presidents – only one has been human – and its own passport, which you can pick up at the hotel. 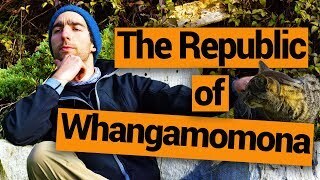 Check out the whole story here: The Republic of Whangamomona. Drive through native forest to end your Forgotten World journey in Stratford, the Shakespeare-mad town! The glockenspiel has a Romeo and Juliet performance several times a day. 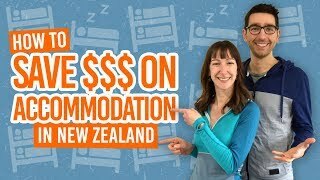 Road tripping in the South Island?